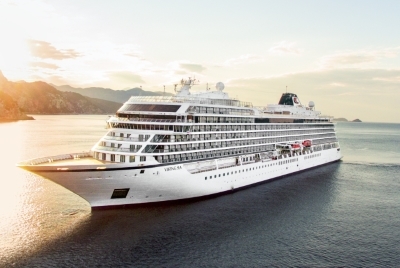 Expand your horizons on the 930-passenger Viking Sun. This ship features all veranda staterooms and a unique onboard experience, from the peaceful Wintergarden area around the main pool, perfect for a calming cup of tea; to The Spa, a sanctuary of wellness; to the Explorer’s Lounge, where passengers can share their latest adventures. Also included are inspiring onboard talks that help you understand every destination in depth. The Viking Sun was built with understated comfort and elegance in mind and ensures you wil explore every destination in comfort. Viking Sun is dedicated to adults and therefore does not carry children or teenagers under the age of 18. Tipping Guidelines Viking recommends $15.00 per day, per guest. These amounts may be given to the onboard staff in cash, or you may charge them to your credit card at the end of the cruise. Bar gratuities should be made at the time of purchase.